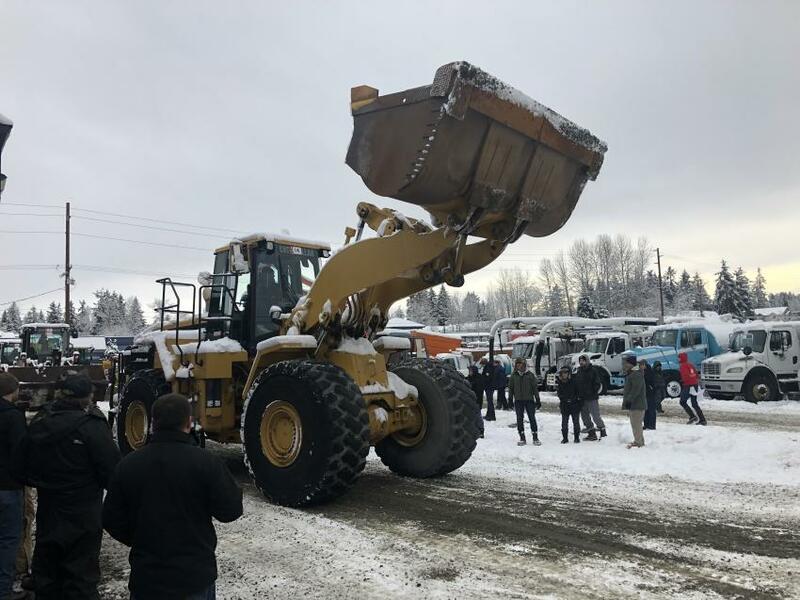 The Feb. 9 heavy equipment auction in Kenmore, Wash., proved to be a real challenge. The weather did not cooperate at all with the camera crew or set up crew. The area had over 10 in. 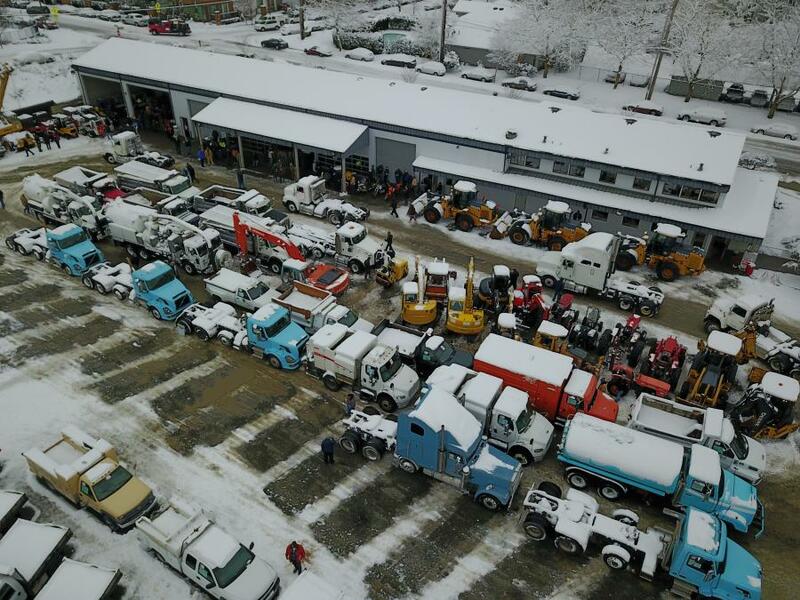 of snow just days before the auction and with quick adjustments to the schedule and some long hours by the JGM yard crew, the auction was held without any major issues. More than 800 live bidders and 500 online bidders participated in the sale. Highlights of the auction include a Cat 980G wheel loader sold for 100k and three John Deere 624J wheel loaders sold for $50k each. 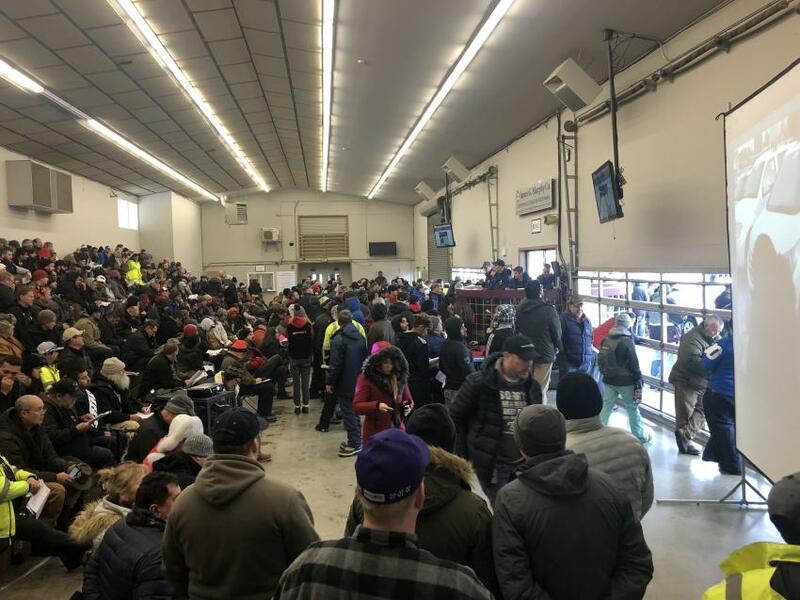 Bidders were warm and cozy in the warehouse where all live items were auctioned by slideshow and each item was driven through the block outside. James G. Murphy Auctioneers' next sale will be held on April 13. 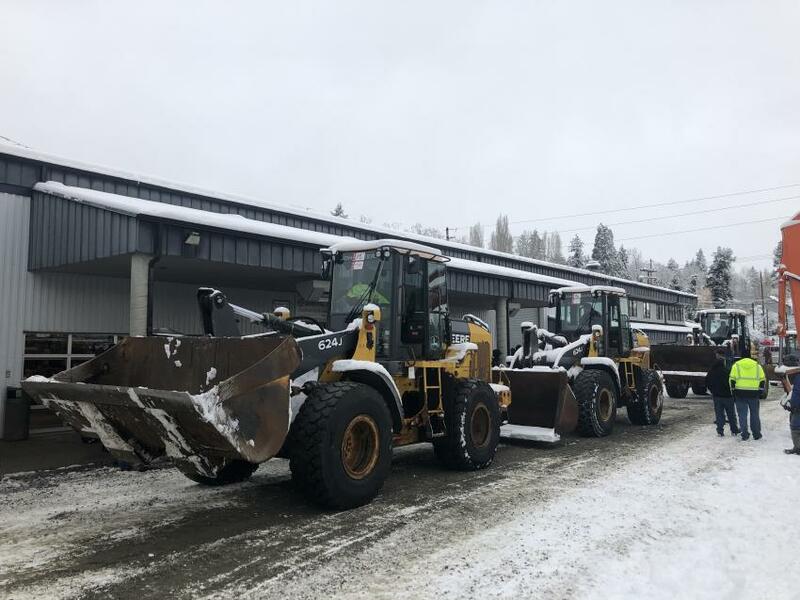 To consign equipment, contact the office (425-486-1246). For more information, visit murphyauction.com. 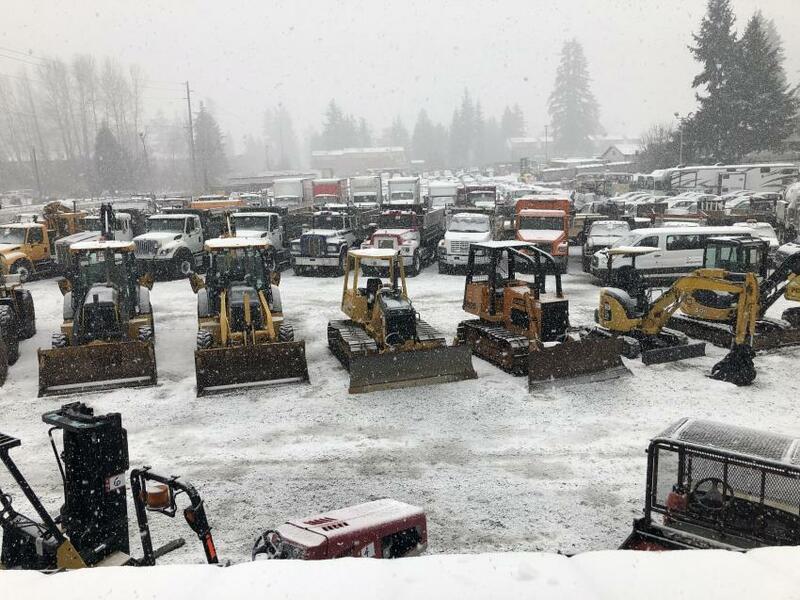 The snow came down all week leading up to the Feb. 9 auction. A lot of hard work by so many made this one possible. This Cat 980G wheel loader sold for $100k. Auction day was a challenge but the show must go on. The auction was conducted inside James G. Murphy’s heated warehouse by slideshow and went off without a hitch. Three John Deere 624J wheel loaders rolled through the block on auction day and sold for $50k each. A snowy sky view on sale day. Roll ‘em through. Auctions James G. Murphy Co.